Big room requires big decorations! So, the name of the Bar Mitzvah boy is spelled in capital letters. 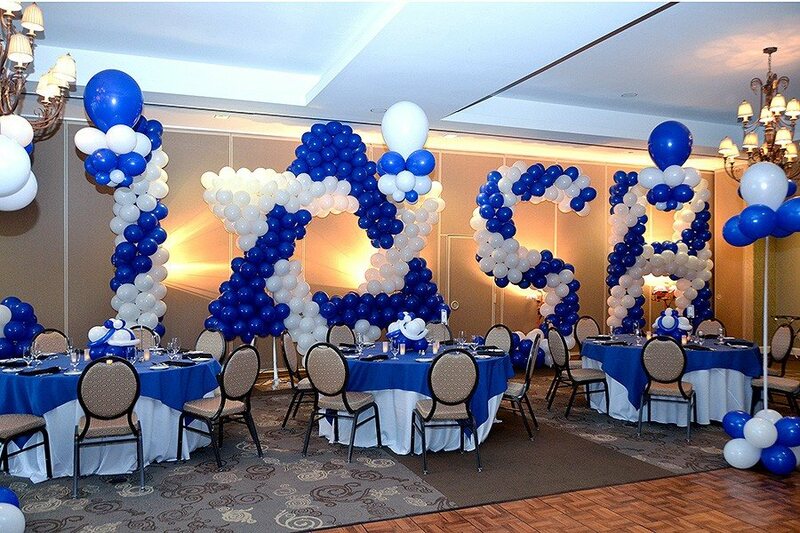 Letter "O" was turned into Star of David and the background wall was lit to make the name look sharper. 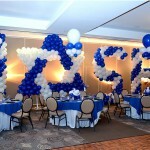 With the balloon decorations of this size (about 11" tall) the room looks decorated even if nothing else is done. But in this particular case we had centerpieces, floor pieces and arches - see the other pictures!